Do you have a content marketing strategy for your business? Would you like to discover how to create and distribute content that will drive sales for your company? To learn how to grow your business with content marketing, native advertising and more, I interview Robert Rose. In this episode I interview Robert Rose, the co-author of the book, Managing Content Marketing: The Real-World Guide for Creating Passionate Subscribers to Your Brand. He’s the chief strategist at the Content Marketing Institute. He’s also the co-host of the podcast, This Old Marketing. Robert explores content marketing, native advertising and what all of it means for your business. You’ll discover how to develop a content marketing strategy that grows your business, take advantage of the marketing opportunities offered through native advertising and learn new ways to distribute your content to the right influencers. 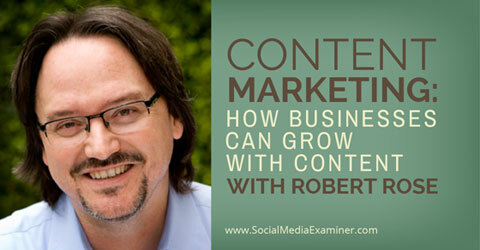 Listen as Robert Rose shares how businesses can grow with content marketing. The Content Marketing Institute views content marketing as the approach businesses use to create, curate, distribute and promote the types of content their customers will find valuable. The goal of content marketing is to drive sales and move your business forward. Done well, content marketing offers a value that’s separate and discrete from the products or services you sell. It’s about providing content-driven experiences that are educational, entertaining or useful to your audience, but ultimately drive engagement, awareness and sales for your brand. Social media gives you the power to aggregate your own audiences and be your own media company. The tools needed to publish the type of content that establishes you as a thought leader in your industry and draws customers to your brand are readily available and easy to use. Listen to the show to discover how content marketing can go beyond written articles and encompass things like videos, app development, games and more. You’ll hear Robert explore how big companies like Chipotle Mexican Grill, LEGO and Coca-Cola leverage content marketing in creative and innovative ways such as movies, TV series and magazines. Compared to what large companies might spend on traditional mass media or big sponsorships, their content marketing expenditures are just a drop in the bucket, according to Robert—yet it has such a big impact from a branding standpoint. Even if your small business doesn’t have the budget for national TV spots and large print campaigns, you can get a lot of bang for your buck through content marketing. It’s easy and inexpensive to publish, distribute and promote your own content through blogging, social media and podcasting. Robert uses Marcus Sheridan’s business blog to illustrate this point. He used his site to answer every question asked about pools and became an expert in the very small niche he was already passionate about. This propelled his business, River Pools and Spas, to huge success and top Google rankings. 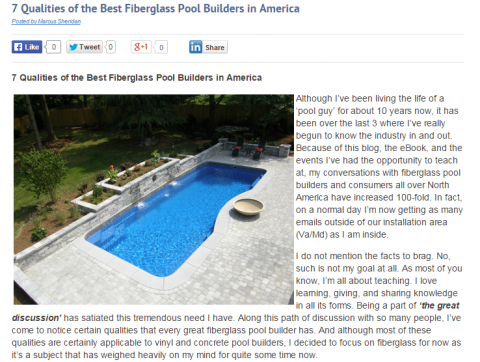 Marcus Sheridan’s pool business blog propelled his company to huge success. Listen to the show to find out how the Content Marketing Institute leverages its blog, workshops, classes and podcast to drive attendance to their annual show, Content Marketing World. 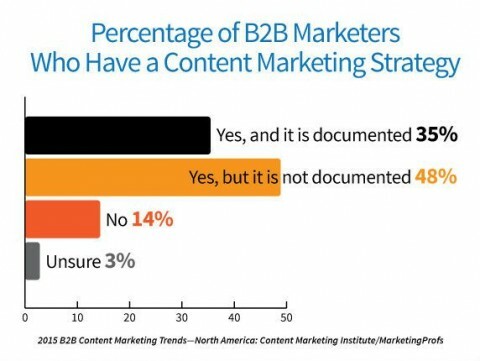 Content Marketing Institute and MarketingProfs recently released two new studies: B2B Content Marketing 2015: Benchmarks, Budgets, and Trends — North America and B2C Content Marketing 2015: Benchmarks, Budgets, and Trends—North America. They are also set to release a version of these studies focused on non-profits and another on European companies. According to these recent studies, 86% of businesses are involved in some form of content marketing, but only 34% feel that they are effective at it. Two things separate businesses that perceive success at content marketing from those that don’t: a documented content marketing strategy and a codified process for it. Most marketers (83%) have a content marketing strategy, but only 35% have documented it. According to Robert, marketers are generally eager to jump in at the execution level of content marketing, but they don’t always approach it with the right questions. Before you start to use content marketing for your business, ask why your company wants to do it and what its goals are for it. The next step is to document your content marketing strategy. Refer to it frequently and get your entire team aligned with it. Listen to the show to learn how publishing research can set your business apart from your competitors and establish you as an expert. Recently there has been a lot of buzz about native advertising. There are big debates over the ethics of using it and how it should be integrated into a business’s content marketing strategy. This is especially the case for social media sites where sponsored or paid posts are part of the typical business model most platforms now follow. Native advertising is purchased and meant to flow seamlessly among the typical content on a site. Very simply, native advertising is a form of branded marketing content that you pay to have published where you’d normally see a post, article or social update. 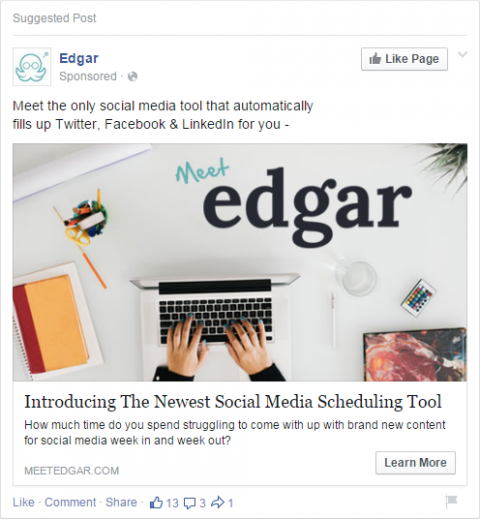 Examples of this are a suggested post on Facebook or sponsored content on blogs. 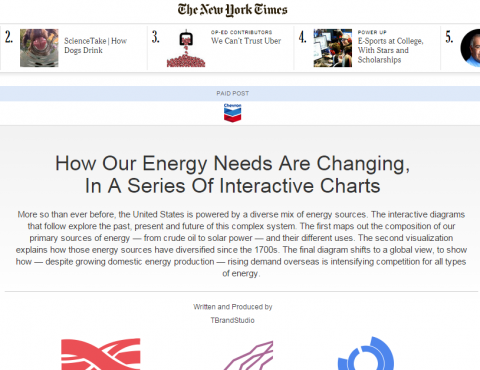 More publications are seeing the opportunity to leverage native advertising to drive revenue. Some have even opened a section of their publication or devoted online space to it. You’ll hear Robert make a distinction on where native advertising is well-received and where it’s not. The New York Times offers space on their site where advertisers can publish paid content. Native advertising is intended to flow seamlessly with the editorial content or updates organically found on a site. Unlike advertorials in print publications of the past, digital publishing makes it more difficult for a reader to make a distinction between the native advertising and editorial content. Robert encourages marketers to take advantage of native advertising opportunities to promote their product or service. However, he cautions site owners and publishers to be careful and considered when it comes to including it on your own sites. Listen to the show to discover how you can use native advertising to enhance your content marketing strategy as a marketer and avoid its pitfalls as a publisher. You’ll hear Robert share a number of opportunities for distributing your content through both paid and earned media channels. He explores the benefits of contributing guest posts to sites like Content Marketing Institute or Social Media Examiner or using content syndication services like Taboola or Outbrain to gain more visibility for your own site. Taboola is a paid service that syndicates your blog content as ads on popular third-party sites. When you write the stories that you want covered and people want to read, you can draw new traffic to your site and grow your own audience. You have the ability to target the right influencers in a meaningful, one-on-one, qualitative way and get them to talk about your story. You just have to know how to reach them. Listen to the show to learn creative ways you can use press releases and wire services to distribute and promote your content to influencers. Do you ever have issues with your website not operating properly? When this happens, do you find yourself reaching out to people in remote locations to ask if they’re seeing the same thing too? Have you heard about GeoPeeker? GeoPeeker is web developer tool that makes it possible to load any website or URL and view how it’s loading or being viewed from multiple locations around the globe. The locations GeoPeeker uses are: San Jose, Ashburn, Sydney, São Paulo, Ireland and Singapore. GeoPeeker allows you to see how your site is loading in different locations around the world. GeoPeeker shows you how the rest of the world is seeing your website and lets you very quickly spot what the issue might be. Listen to the show to learn more and let us know how GeoPeeker works for you. We are super-excited about Social Media Marketing World 2015. It’s the world’s largest social media marketing conference. By attending, you’ll make connections with 100+ of the world’s top social media pros (plus 2,500 of your fellow marketers) and you’ll discover amazing ideas that’ll transform your social media marketing. This is just a sample of industry experts talking about their experience at Social Media Marketing World. In the show, you’ll hear one of our presenters, Joe Pulizzi from the Content Marketing Institute, explain the importance of having a formal content marketing strategy for your business. Joe is one of the world’s leading content marketing experts. At Social Media Marketing World 2015, Joe will teach you how to build a content marketing strategy from scratch. Joe will lead the Content Marketing track, where we won’t just focus on how big businesses use content—we’ll also explore how successful bloggers, podcasters and YouTubers build and maintain content that their customers love to share. You’ll discover how to leverage content to sell and move people to action. You’ll also get tips for how your business can excel at blogging, podcasting and video marketing. This is just one of the exciting things that will happen at Social Media Marketing World 2015. Take your social media marketing to the next level and join us in San Diego, California on March 25, 26 and 27, 2015. Hundreds of people have already secured their tickets. Click here to check out all of the speakers and the agenda, watch our video and grab your tickets today. Connect with Robert on About.me/RobertRose. Read Managing Content Marketing: The Real-World Guide for Creating Passionate Subscribers to Your Brand. Check out Content Marketing Institute. Listen to Robert’s podcast, This Old Marketing. Watch Chipotle’s animated short video, The Scarecrow. Learn more about Hulu’s original TV Series, Farmed and Dangerous, sponsored by Chipotle. Find out more about The LEGO Movie or the LEGO Club magazines. Explore Marcus Sheridan’s blogs at River Pools and Spas and Pool School. Download a free copy of Marcus Sheridan’s ebook, Inbound and Content Marketing Made Easy. Discover Content Marketing World 2015. Explore the latest B2B and B2C research studies from Content Marketing Institute and MarketingProfs: B2B Content Marketing 2015: Benchmarks, Budgets, and Trends — North America and B2C Content Marketing 2015: Benchmarks, Budgets, and Trends—North America. Get your copy of the 2014 Social Media Marketing Industry Report. Read Robert’s post, Why Native Advertising Is Neither. Watch John Oliver’s perspective on native advertising. 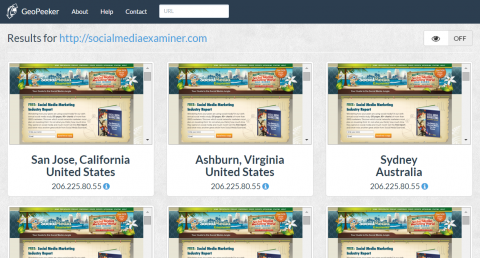 Submit a request to write for Social Media Examiner. 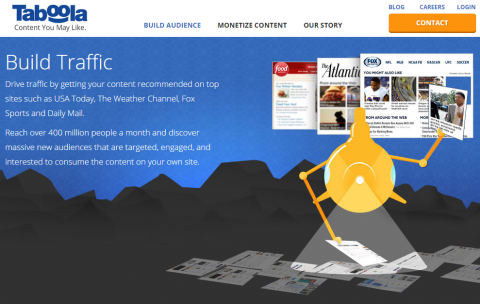 Check out Taboola and Outbrain for distributing and discovering new content. 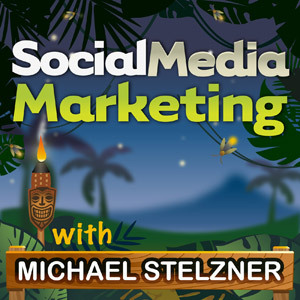 Learn more about Social Media Marketing World 2015. What do you think? What are your thoughts on using content to grow your business? Please leave your comments below.